Good point - I don't have an amp with a balanced out and I'm not planning on buying one, but who knows where the adaptor could end up after Mrsdegraded has killed me and sold all my stuff. Nice, clean and useful job. Good work, sir. Sunflower_sutra, Ardacer and Biodegraded like this. Can anyone recommend a cable that resembles the stock Sennheiser HD650 cable? i.e. one pair of wire per sheath, with two sheathes connected side by side? I want to make a 3 metre* HD650 cable, rather than use an extension. Most 4-wire cables come in a star configuration covered by a thick and inflexible sheath. Nor do I want to strip and braid 3+ metres of cable. I tried that, and it turned into a tangled mess. * Despite the stock cable being listed at 3 metres in length, there's no way it's anywhere near that long. Edit: I am a numbskull. I measured the two cables last night, the HD650 cable is bang on 3m. The HD800S XLR cable is more like 3.5m. Both are listed by Sennheiser as 3 meters. You could try Mogami W2528, which has a single conductor with shield (use the shield for ground return). Also from Mogami is the W3106 which has dual conductors and a shield (probably too thick if you are trying for really thin). I don't know if you are going to find something unshielded from the pro lines of cables. zonto and JustAnotherRando like this. Mostly metal bodies since most stock cables are overmoulded, but you could play around with heatshrink to get the desired robustness. I've never found anything that supple and isolated. The Sommer cable is good, but it's rather thick. It's the same cable as used by beyerdynamic for the T1, first gen. It's certainly usable. I think what you want is to just use quad cable, strip it, but don't unwind it. Then sleeve it in nylon multifilament. The stock HD650 cable is 3M long, so what's wrong with that? msommers and JustAnotherRando like this. 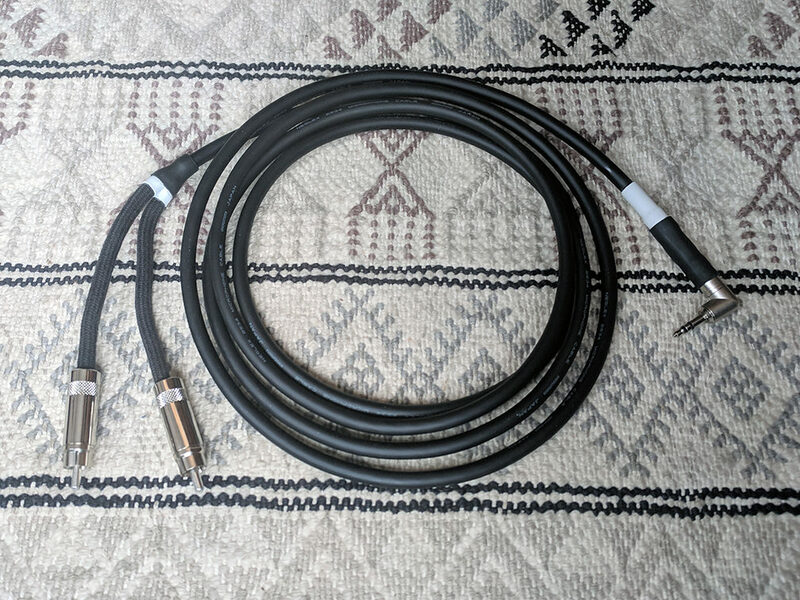 Maybe you could try a HD-600 stock cable, mine measures 9 feet 10 inches from ear cup insertion point to the back of the 1/8 : 1/4 plug or 2.9997 meters. I made a 10' HD650 cable out of Mogami W2528 and like it. It's slightly thicker than the stock cable, but feels as flexible and not much heavier. I'd recommend it. It is probably the closest thing to the stock side by side HD650 cable, but in blue. Yep, you're correct. Turns out it's the 3m HD800S cable that's curiously off-spec. My original post has been updated. Forza AudioWorks and zonto like this. Made a mini jack to RCA for my shop with some leftover star quad, neutrik connectors, and some sweatshirt hood drawstring that came out in the wash. It works and will hopefully last a little longer than the Amazon basics cable it's replacing. bixby, willsw, Brad Tombaugh and 2 others like this. Slowly gathering parts to build cables for the first time for my LCD-2.2 and HD650, mostly as soldering practice. Here's a question I haven't been able to find an answer to: Are there any perceivable & predictable sonic differences between a headphone cable conductor made up of numerous strands vs. a conductor made up of fewer strands or even solid-core? (That is, sonic differences, not mechanical flexibility and durability, which should both generally increase with strand count.) All other things being equal, would you want a headphone cable made out of more or fewer strands? Or does this make no perceivable sonic difference? Mogami 2791 - 24 AWG conductors made up of 105 strands of super-tiny 44AWG annealed copper (not oxygen-free, apparently). Canare 4S6 - 20 AWG conductors made up of 20 strands. Anything else I should consider? Thanks. I dont know know if anyone can answer your questions here. More copper = more conductivity = good. I think about the number of strands and rhe gague of the individual stands, you are referring to the skin effect. Do some research on that amd I think you will find your answer. I think cables are just like anything else, it can add a hint of seasoning to the overall sound and can create or take away synergy from the overall setup. There is a bit it where the nuance of say 22awg or 24awg can be taken too far on a given system, so don't spend too much time. winterfog and Brad Tombaugh like this. Hope this isn't too obvious a question but I don't want to muck something up. I have 2 L/R RCA cables that I don't really care for much, but that have decent WBT connectors on the end. They are soldered, and I'm wondering if I can de-solder them and use them on a different cable (Mogami W2549). Dimensions work fine as far as cable diameter, but I'm guessing I want solder wick or a solder sucker to remove the old solder once it's heated up, then just use the new cable and re-solder? Or should I just discard them and buy new ones? It depends on how much solder is on those connectors and how much heat you apply to de-solder. You don't need a sick or a sucker really, unless you are getring rid of all the solder after removing the old wire. But basically, if you get the solder too hot, you can burn off all the flux and might wind up with a dull looking solder joint. Most experienced pros would remove all the old stuff and put in fresh. The connector leads will be probably nice and tinned after removal and the flux in the solder should be fine. Thank you. Since this is my first try, I'm thinking maybe it's best to just start with a new connector and work from there. I was playing with it today and there's quite a bit of solder on the center pin connection and it is a very nice, shiny joint. I appreciate the insight, thank you! If it's your first try I'd wait until you have more experience and are more comfortable soldering and desoldering. The quality of a cable's termination is arguably more important than the material of the wire or the connector. The first answer here gives good advice on how to use a solder-less connector. 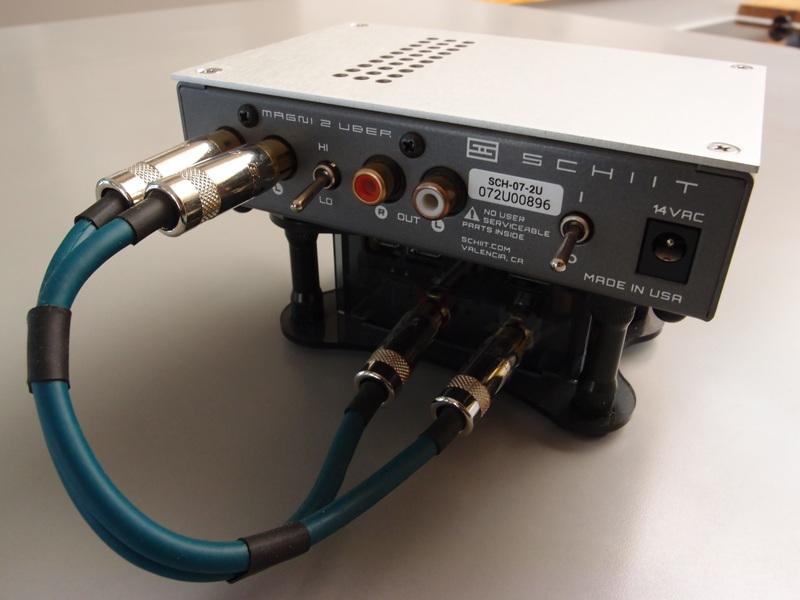 Solder-less connections, like compression connectors for coaxial cables, can be superior to most solder joints if it's done correctly. In terminating cables you have to consider both the electrical connection and mechanical stability. A well-soldered joint can easily become a poor connection if it wiggles all the time. This is especially true of headphone cables. In most cases, I find that soldering is the easy part and arranging the connector shells, heatshrink, and other finishing elements is the most difficult to be happy with.